Your down time is the best when your companion is a good book, a cup of coffee and a relaxing sun lounger. Maze Rattan are experts in producing furniture that is not only quality assured but brings out the best of the area in which they are placed. Maze Sun loungers are a smart choice when it comes to making your space look contemporary. The Winchester sun loungers are incredibly comfortable. 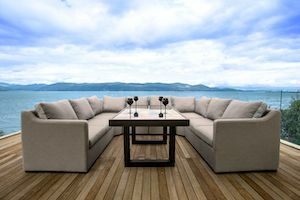 The loungers with arms give an additional level of comfort while in the sitting position and with the additional advantage of Sunproof cushions giving complete comfort. Along with this, they make for a dazzling addition to any garden, terrace, or pool side area. 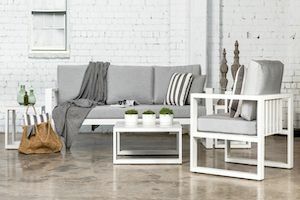 The loungers recline easily into various positions with easy to use side levers, making them ideal for a snooze in the sun, or a rest with a book. The rattan is weaved around a powder covered rust proof aluminum frame, giving a maintenance free set that can be left outside, lasting throughout the year in various climate conditions. The rattan weave is resistant to water and ice and is also UV treated to ensure that the rattan does not fade in sunlight. It has been tested to withstand temperatures from - 25c to +55c temperatures. The delightful Rehau sun loungers are genuinely one of a kind. They are ideal for mingling or unwinding. The Daybed also comes with a hood that can be utilized as a shade when you like to laze away the hours. 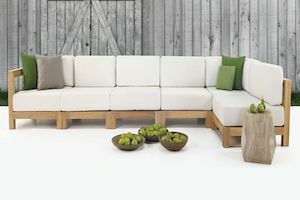 The base and cushions have additional filling for comfort, making it the ideal option to any poolside, lawn, or deck. 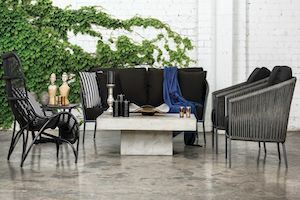 The rattan is weaved around a powder coated rust proof aluminum frame, offering a low maintenance set that can be left outside throughout the year in any climate conditions. The rattan weave is resistant to water and ice and is also UV treated to ensure that the rattan does not fade in sunlight. It has been tested to withstand temperatures from - 25c to +55c temperatures. Our sun loungers have been tested properly to ensure that they can withstand temperatures from - 25c to +55c temperatures. Your outdoor lounge chair might be getting old, now is the time to buy a new one. Maze Rattan Dubai will has exactly what you are looking for. 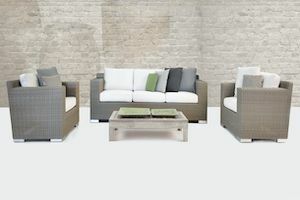 Our outdoor lounge furniture range will amaze you when it comes to durability and style.